One of the joys of having children, or nieces and nephews, friends with kids, neighbors with kids, or just knowing young kids, is that you get to introduce them to the stories you loved when you were young. I may or may not have used my kids as an excuse to go back and read all of my favorites, over and again. There were numerous trips to the library, and I have bookshelves full of stories I can pick up whenever I want a quick read to take me back to my childhood. These stories are timeless; at least to me. I wish I could remember the first book I ever read that put me on the path of loving books. It does not matter now, but I would love to read it again. 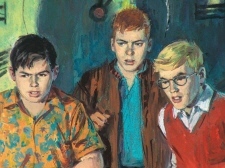 “Alfred Hitchcock and the Three Investigators” by Robert Arthur is another series that I have read over-and-over again. I have not had the time to do it lately, but I would often go to the library and check out as many of these books as they would let me, and spend my weekend reading them for the umpteenth time! If you loved The Three Investigators stories, you must have read “Encyclopedia Brown” as well. 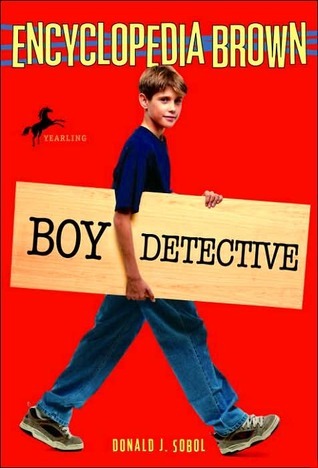 Donald J. Sobol had every young reader wanting to be the neighborhood detective. A fun series to read, for those of us who could just not figure out the solution, you could always find it in the back of the book. I know I had several “A-ha” moments reading these stories. The covers on the books I read did not look like this! I have to admit that I never read the Narnia series of books by C.S. Lewis until I was an adult. I have no idea how that ever happened, but it is truly one of my favorite sets of books to read. I was fortunate enough to get to read Harry Potter right along with my girls, and J.K. Rowling is probably as responsible as I am for the fact that I have 4 daughters who truly love reading. What books did you read as a child, and do you ever go back and read them now? That was my first Judy Blume book and I have read all of them since! Thanks for visiting my blog! I read the Shadow Children Series by Margaret Peterson Haddix which were my favourite when I got older. I read everything on that book shelf…my sister isn’t a fan of reading so when she found graphic novels and manga our parents were pretty happy lol. Picking my overally favourite book is hard but there was a time where I would only read book by M.P Haddix. I have never heard of Margaret Haddix. I will have to look her up and see what the Shadow Children series is all about. Thanks for sharing! I read a couple of her other books to but that was honestly my favourite series. I finished a book a day. I can’t remember the last time that ever happened. My father was a head teacher and because of that we had the whole set of ‘Peter and Jane’ books in my bedroom. One wet morning when i was about 5 I started looking through the first… And believe it or not, I was hooked. I worked theough the whole lot in one day – and taught myself to read!! After that, I obsessed on Enid Blyton, E Nesbit (The Pheonix and the Carpet was my favourite), the Moomins, The Rescuers, Black Beauty… The list is huge. I particularly liked a book called ‘The Adventures of the Black Hand Gang’ because you got to solve puzzles as you read. My favourite book of all though (and still is) was Watership Down. It cannot be beaten, (though Harry Potter does come close!). I can’t wait to read them all to my daughter. I found another copy in a charity shop Angela and I genuinely squealed! The stories were great (they even busted a drugs cartel!) and I loved the illustrations… I still love the idea of living in one of those tall (german?) houses with a pigeon roost in the loft! THE BOXCAR CHILDREN!!! That series started my love for reading. So great. The first book I remember reading outside of fairy tales was The Secret Garden. I loved the Adventure series of Enid Blyton – in fact, all her series, the school series too. Have never re-read any of them, but occasionally I pick up a tattered copy of a childhood favourite – most recent charity-sale purchases were ‘The Wind in the Willows” (an animal has chewed off a corner of the cover, definitely proof that ‘the dog ate my book’ (!) ) and a real treasure, one of the ‘Just William’ series, which I loved. Thanks for the post. I loved reading that I am not the only parent who used her children as an excuse to check out and re-read my childhood favorites. 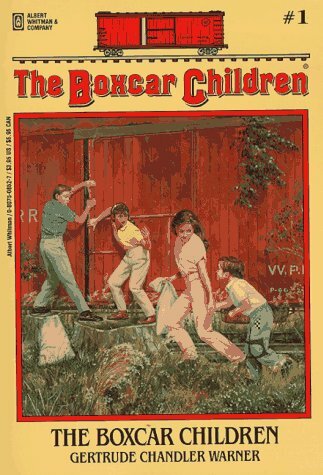 Boxcar children, Little House books, Secret Garden… so excited to read them all again. But I also fell in love with new classics. I find myself still in the children’s section of the book store.. pretending my kids are young enough that I am shopping for them. Like you, I did not read the Narnia series until recently when I read them to my girls. We all loved them! The Little House on the Prairie books were also a hit with me as a child and again with my girls. We’ve got several copies of Secret Garden, Charlotte’s Web, and have devoured many classics through the Golden Classics book series. We are a family of bookworms! Charlotte’s Web was a favorite of mine as well! I haven’t read it in years and it certainly deserves a revisit!